Grit, a construction planning engine that utilizes VR technology, is looking for 8 contractors to pilot the software. Email hello@gritvirtual.com for more information. Pype is a software that helps users start projects faster. In a blog post, Pype explained the utility and content of construction submittal logs. Ving is a video platform for providing and monitoring employee safety training. The platform encouraged companies to promote employee collaboration through holiday-themed games. Diane Osen, the former CEO of FKP and a member of CannonDesign’s board of directors, offers her recipe for women’s success in the male-dominated architecture industry. 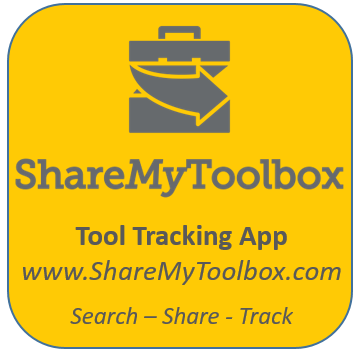 ShareMyToolbox is a cloud app that makes organizing, searching and sharing small tools and equipment simple for contractors. The app is a modern way to manage a tool inventory and keep track of equipment in the field as well as in a warehouse. Free tool tracking articles and customer stories are available at Tool Tracking App. BuiltWorlds published an interesting blog post which included ShareMyToolbox's ability to cut operations costs at contractors using tool tracking technology.